I've added several hundred Books About Books since Mark's visit—a collection now totaling over 1100 books. 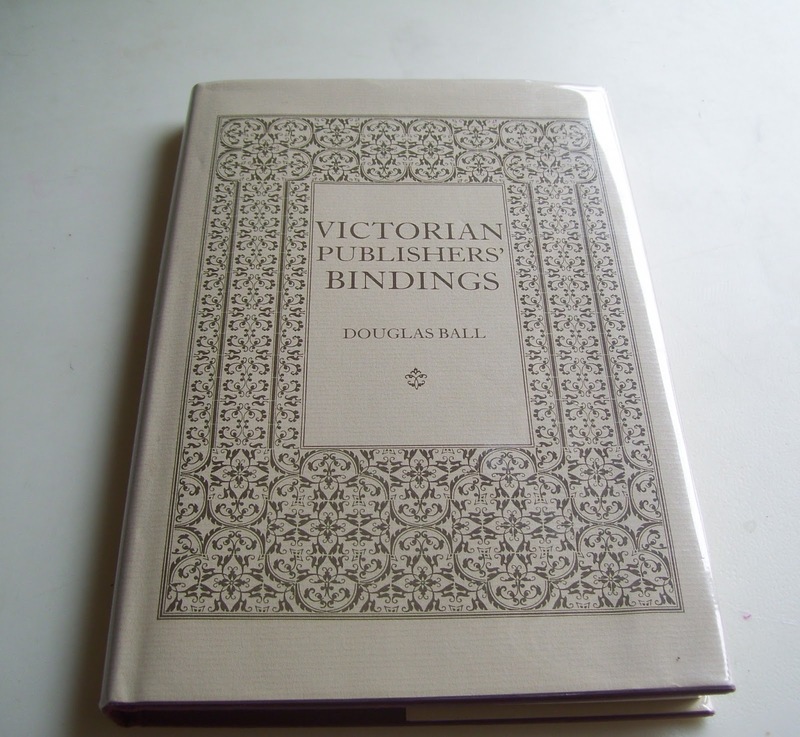 And in that time, I've written blog posts telling you more than a little bit about my books about book publishers, booksellers, and book collectors. 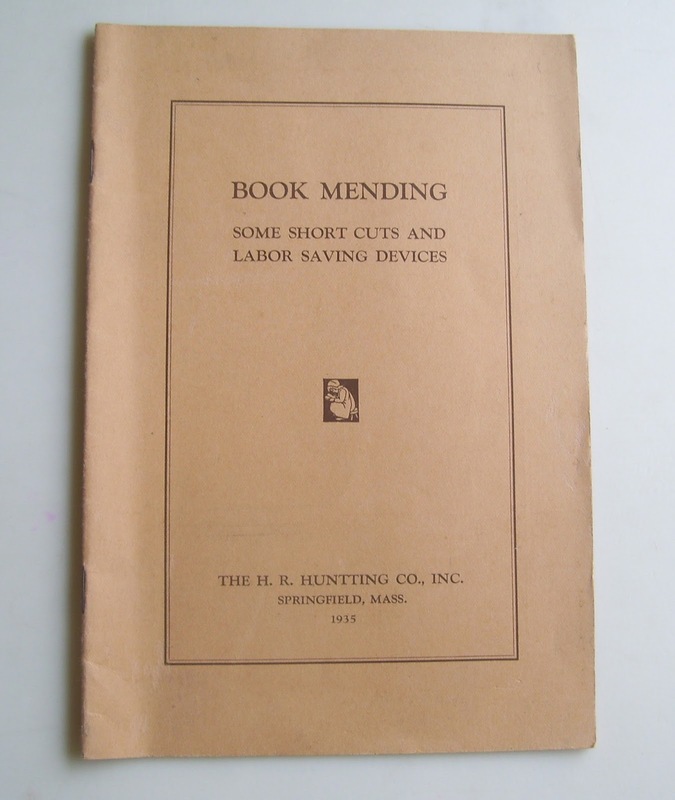 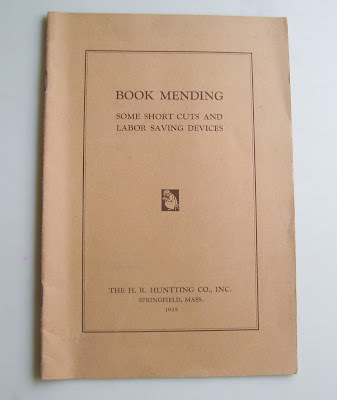 Today, I will tell you a little bit about the book workers in my library: books by and about the men and women who either helped make or repair books. 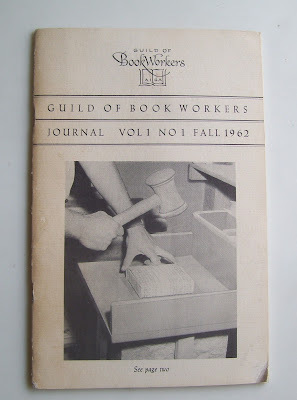 Don't let the "VOL 1 NO 1" on the cover of this pamphlet fool you; the Guild of Book Workers has been around since 1906. 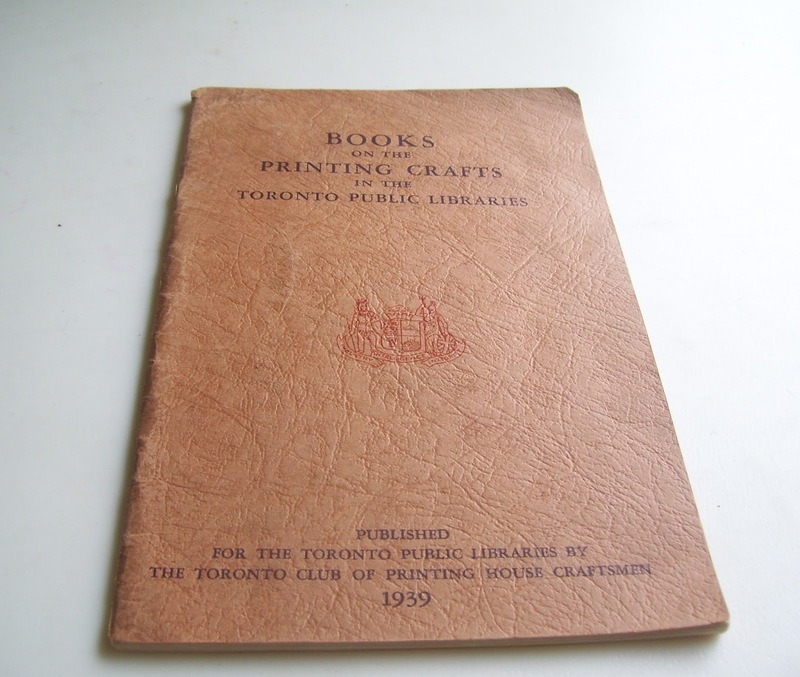 It printed year books for the first forty years or so, then went to mimeographed sheets, which were distributed to the members. 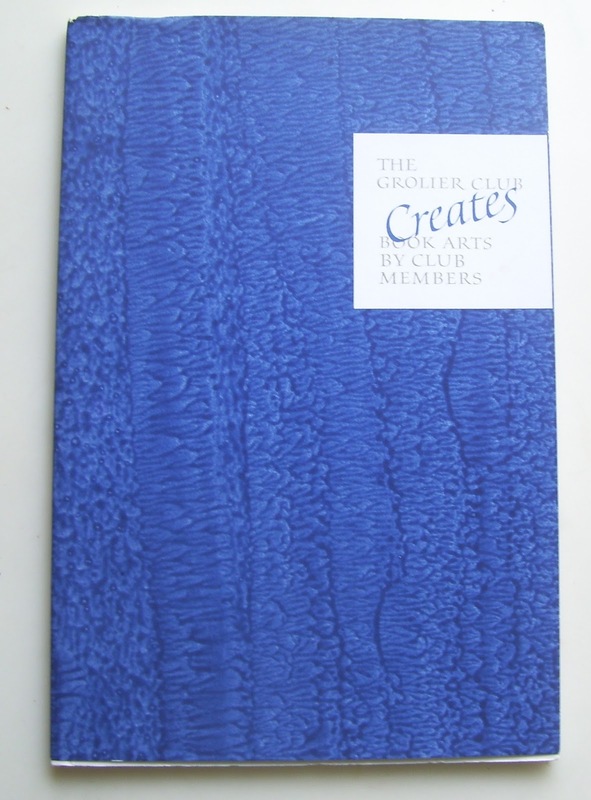 Finally, in 1962, it printed its first quarterly journal. This year book is not one of the early year books of the Guild of Book Workers. 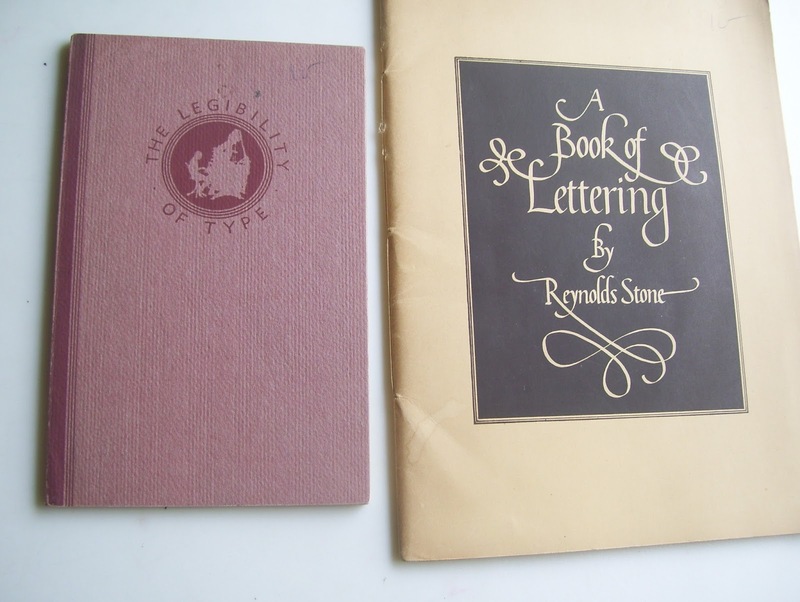 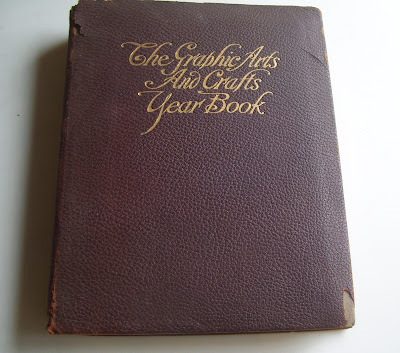 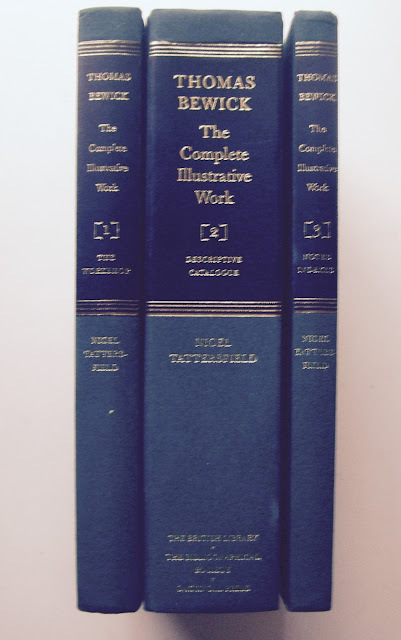 Nor is it an early year book of the American Institute of Graphic Arts, which wasn't founded until 1914. 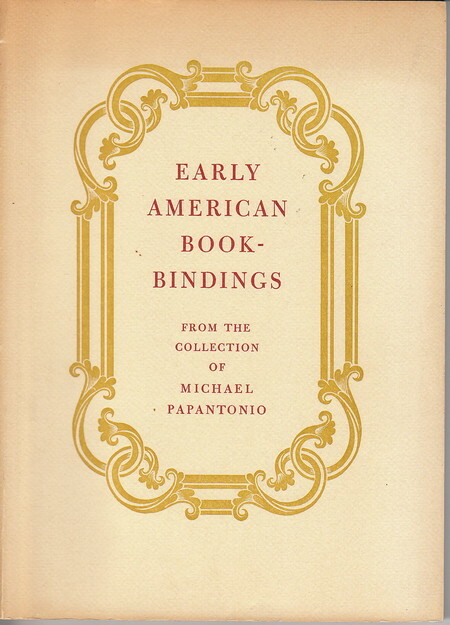 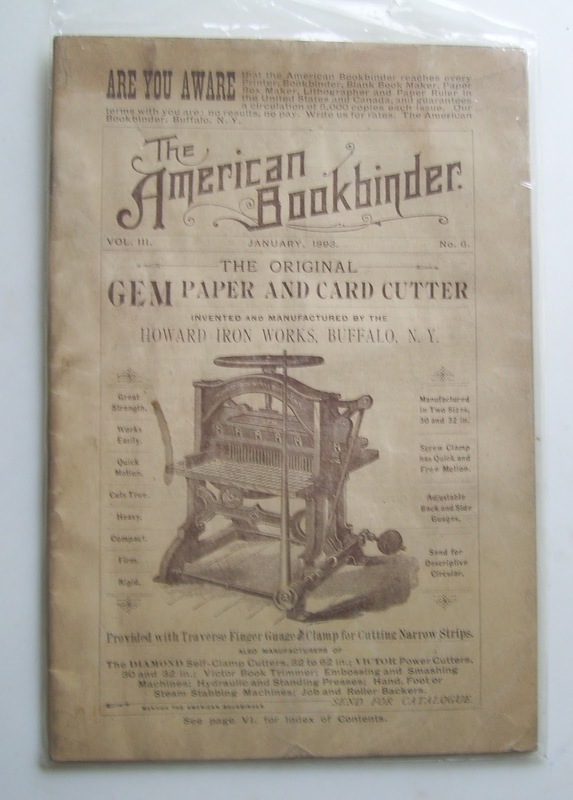 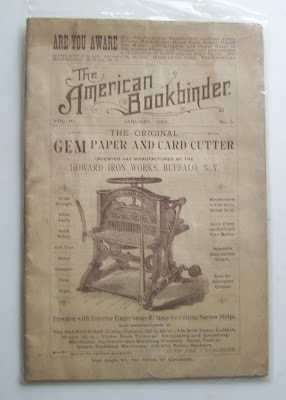 It was published by The Republican Publishing Company of Hamilton, Ohio, and it is what the subtitle of the book says it is: The First American Annual Review of the Engraving, Printing and Allied Industries. 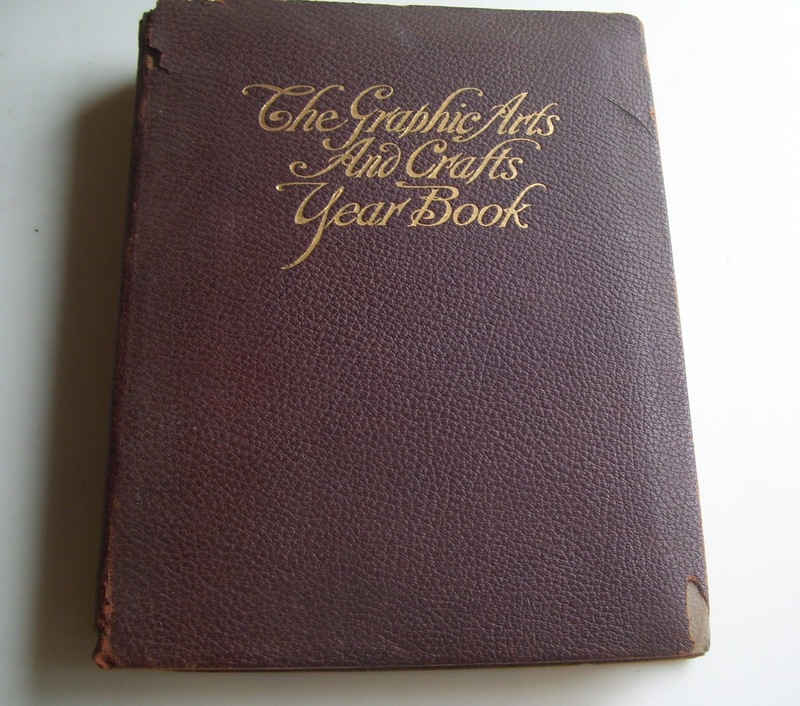 Here are some photos from the 1907 Year Book. 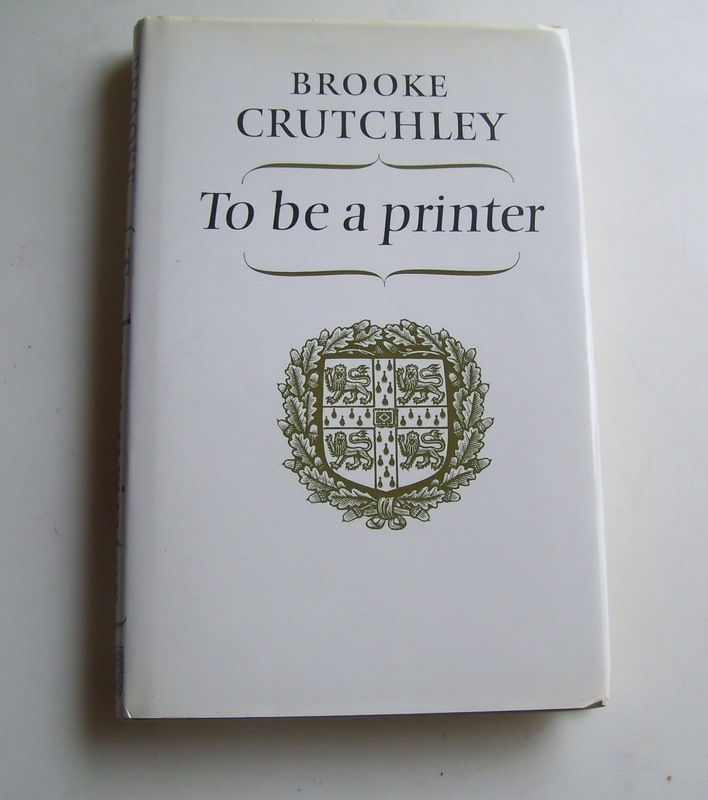 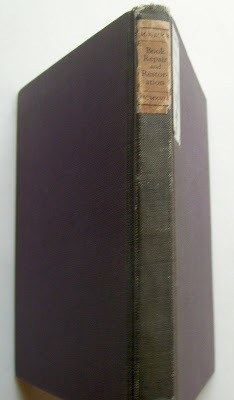 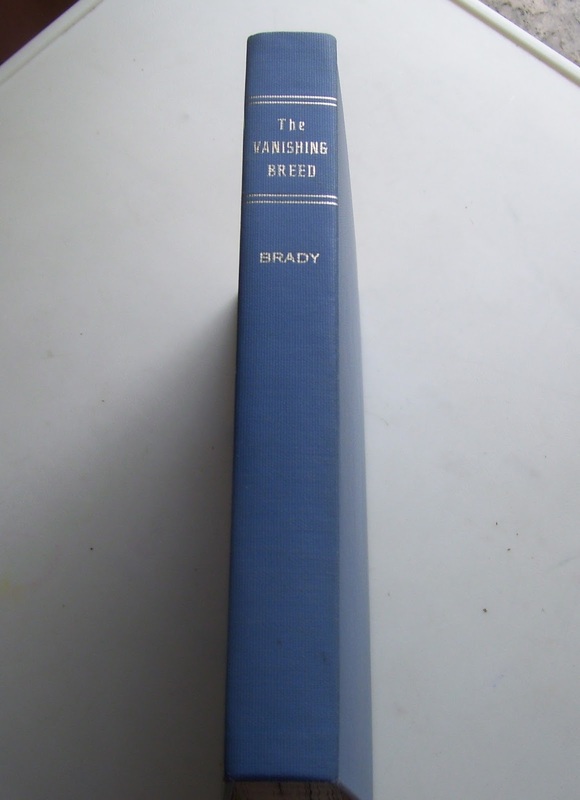 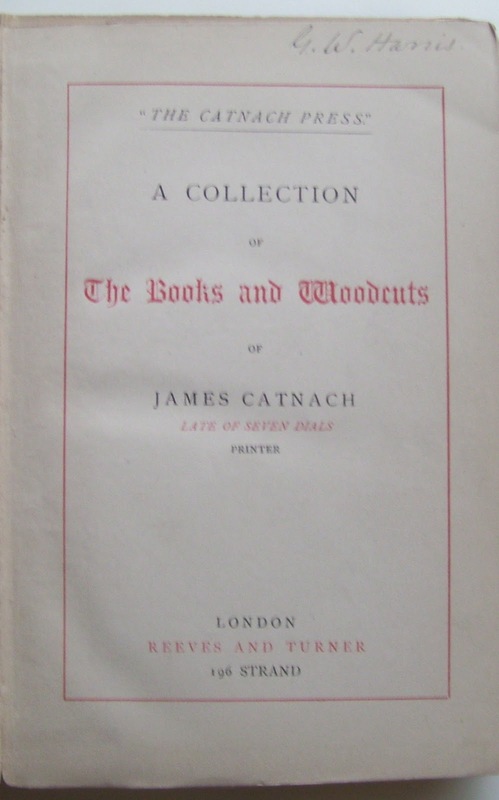 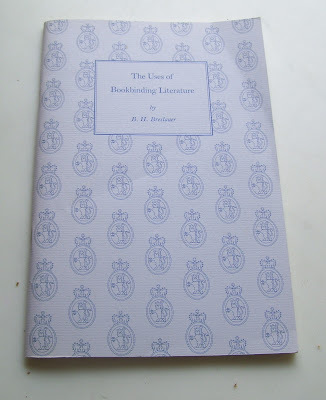 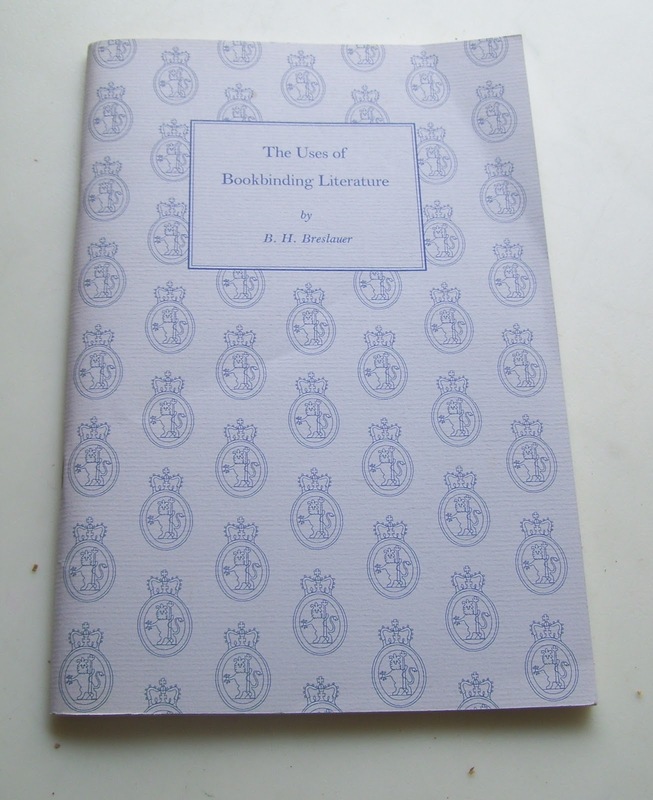 The autobiography of Brooke Crutchley, Assistant University Printer of Cambridge University from 1930 to 1945, and then University Printer from 1946 to 1974. 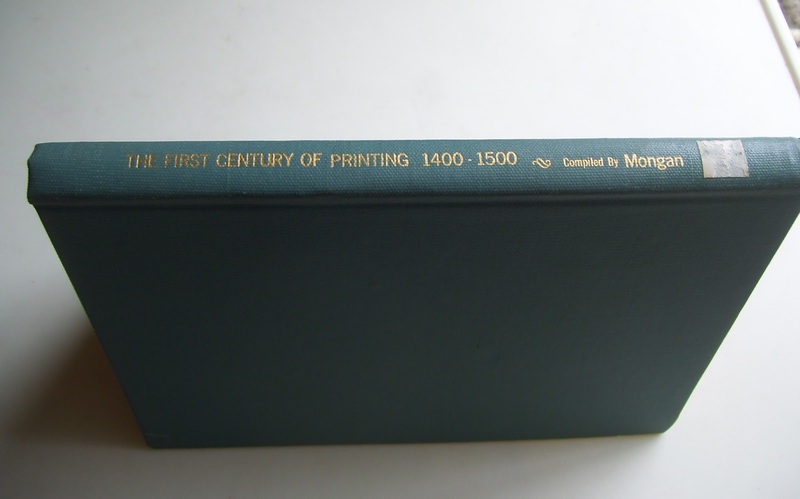 The First Century of Printing: 1400-1500. 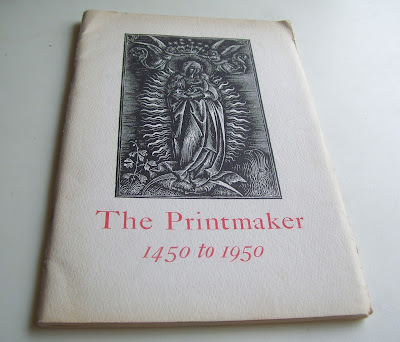 An Exhibition at the Art Institute of Chicago, Jan 30-Mar 2, 1941. 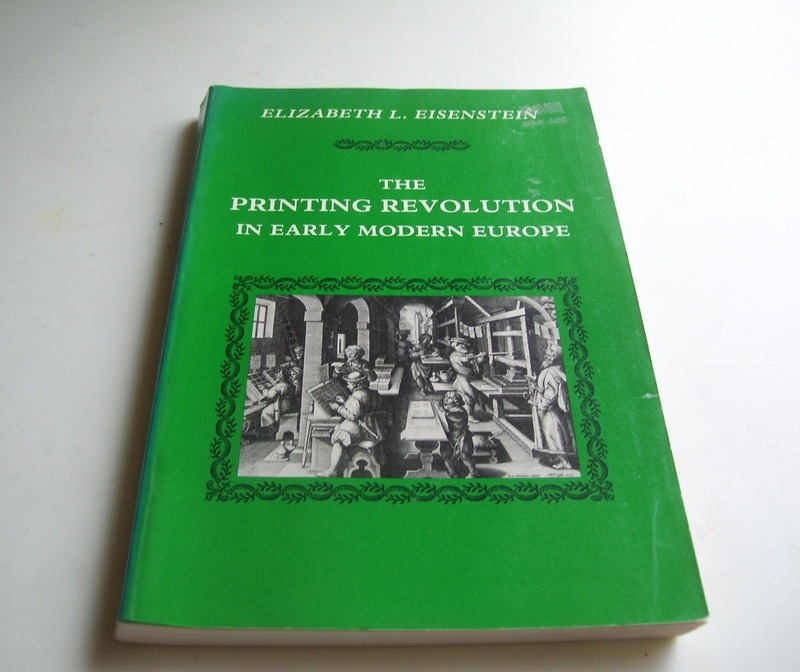 An abridgment of Elizabeth L. Eisenstein's mammoth two-volume work, The Printing Press as an Agent of Change: Communications and Cultural Transformation in Early-Modern Europe. 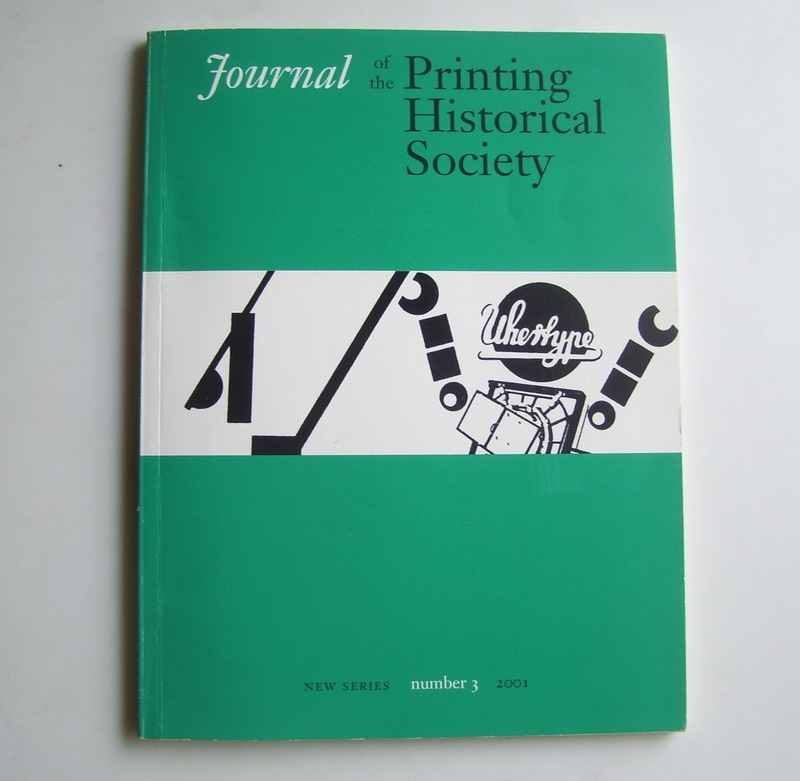 I have this particular issue (Summer, 2001) because it contains Paul W. Nash's article, "The abandoning of the long s in Britain in 1800." Isaiah Thomas's book on printing will never grow old. 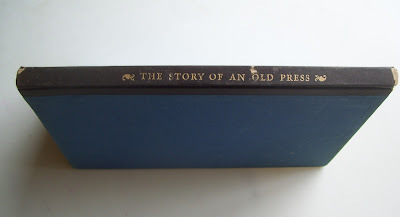 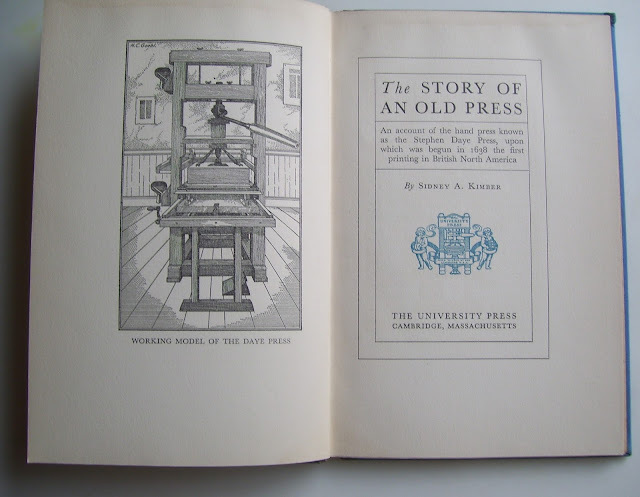 An Account of the Hand Press Known as the Stephan Daye Press, Upon Which Was Begun in 1638 the First Printing in British North America. 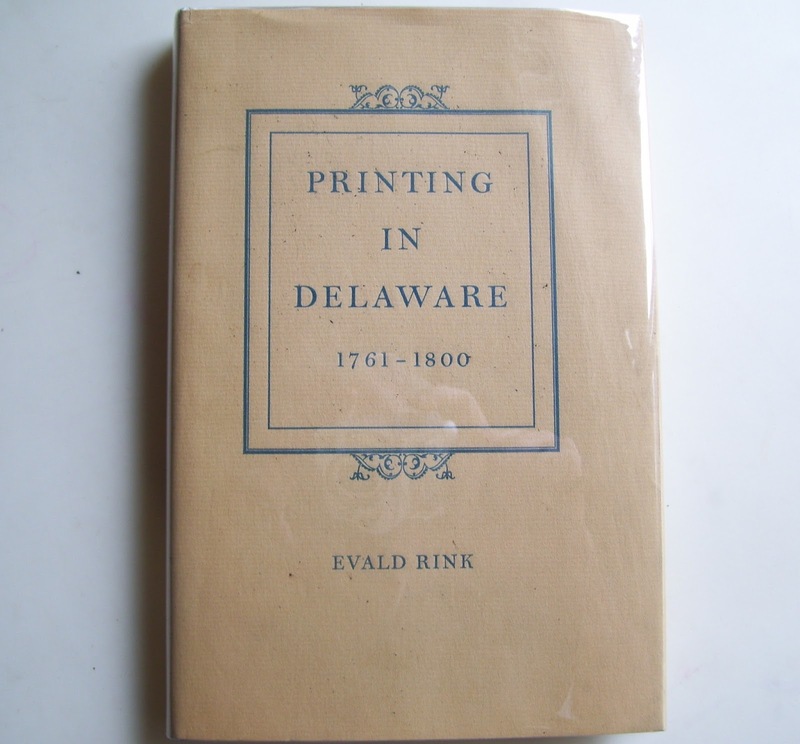 A checklist of eighteenth century Delaware imprints. One of a vast number of pamphlets about the printing crafts that were included in The Last Book Sale Care Package. 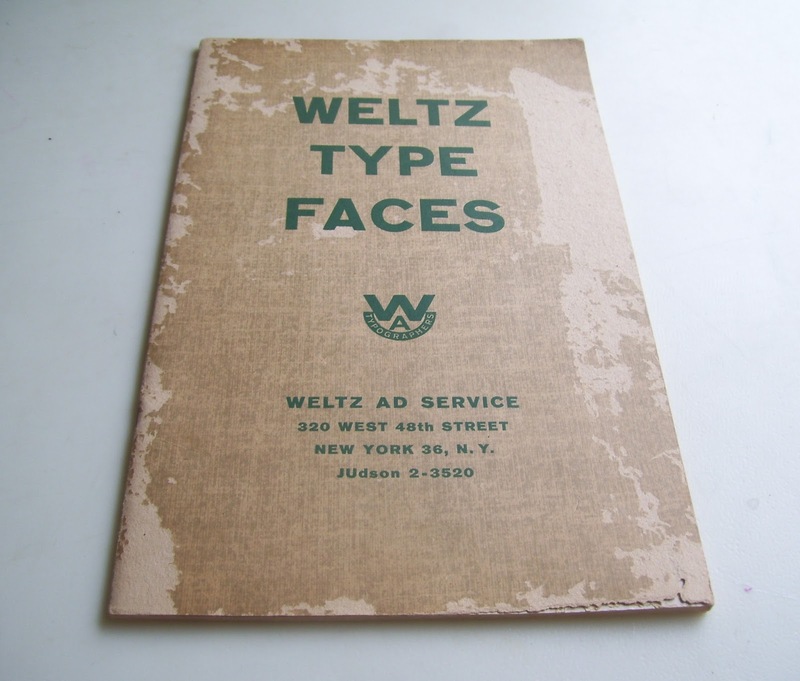 The type faces of the Weltz Ad Agency, circa 1960s. 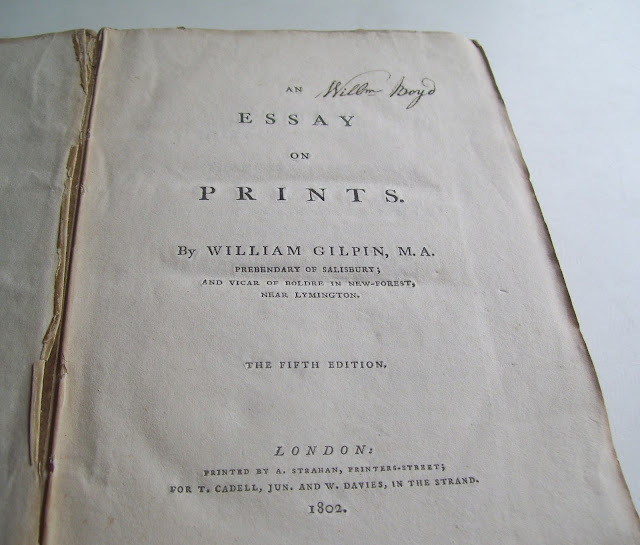 This copy of An Essay On Prints was formerly owned by Barratt's Library, Bond Street, Bath. 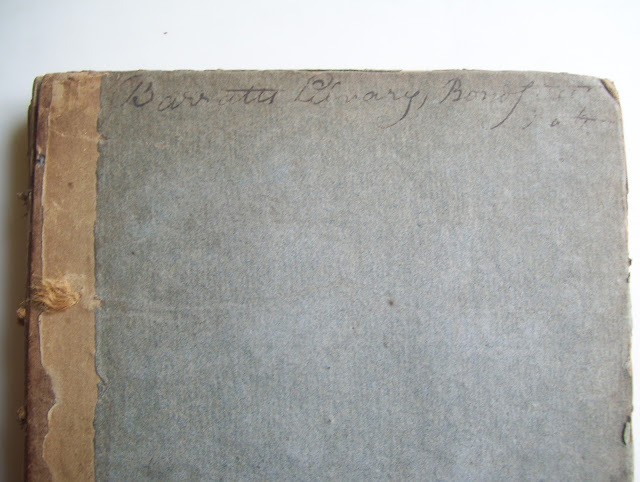 Joseph Barratt was a bookseller and a bookbinder as well as the proprietor of Barratt's Lending Library in the late 1700s and early 1800s. 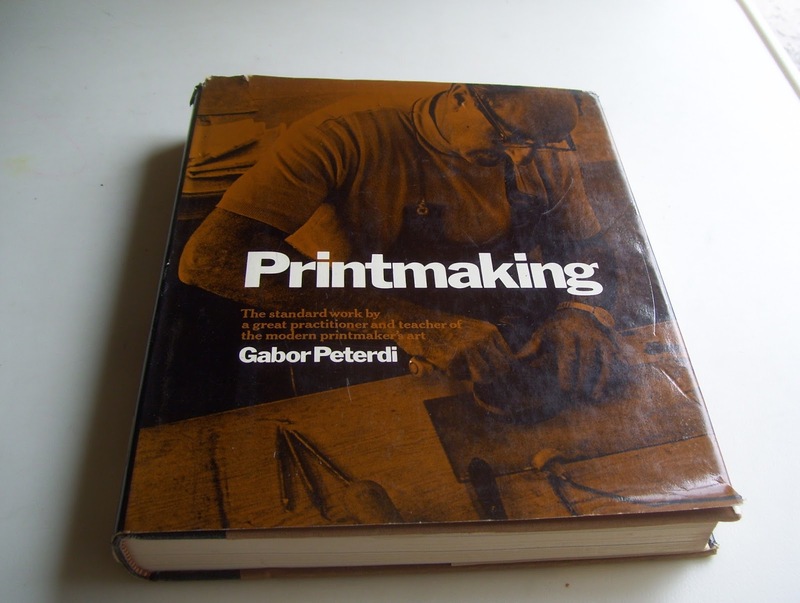 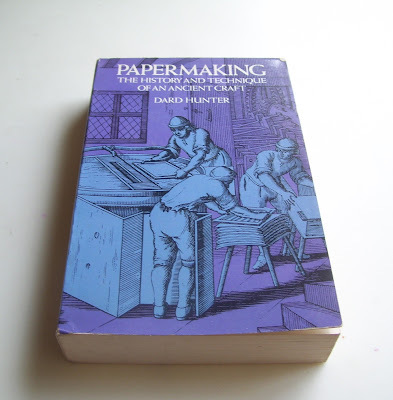 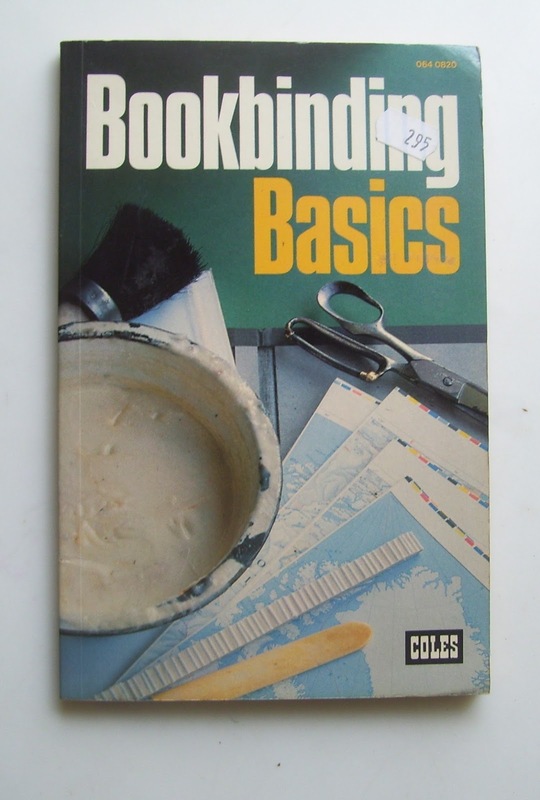 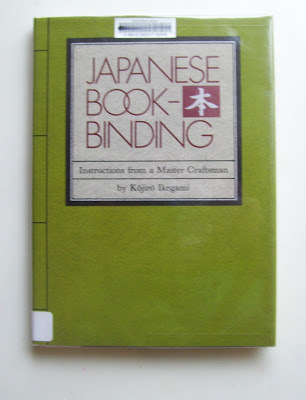 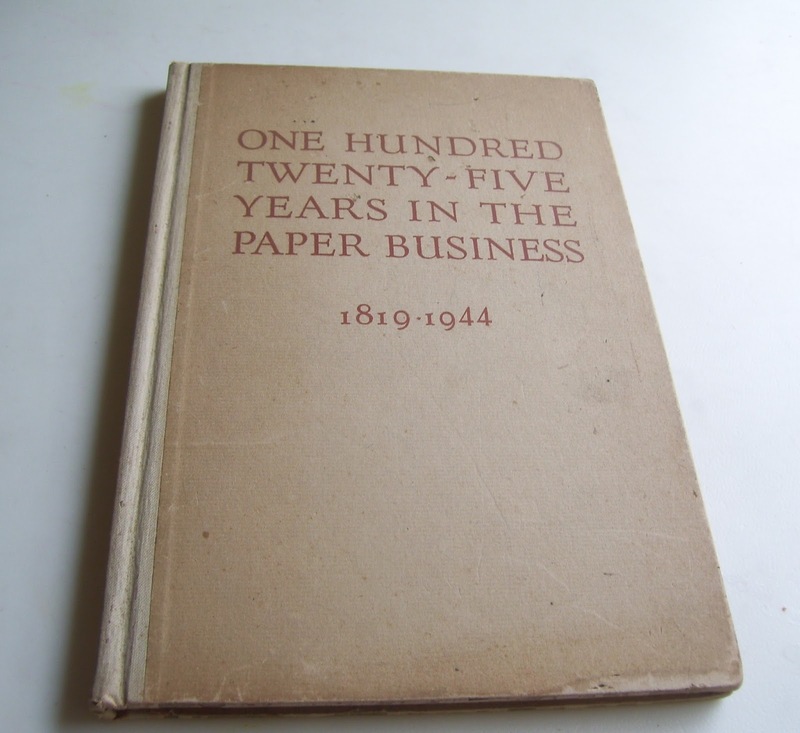 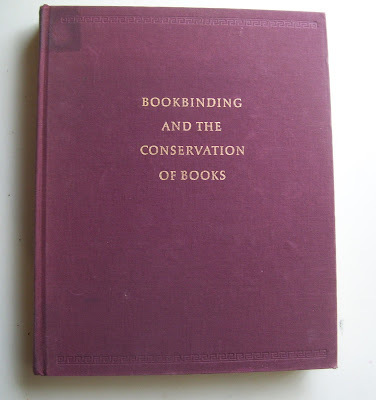 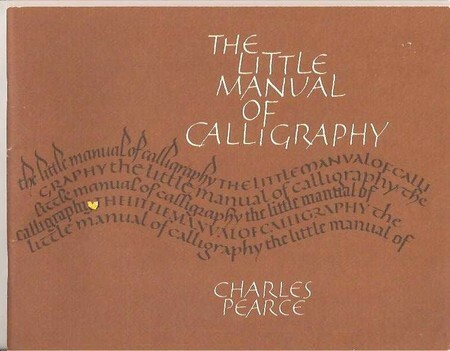 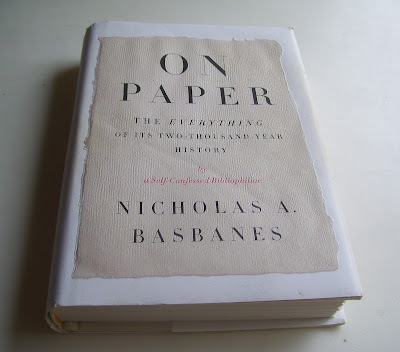 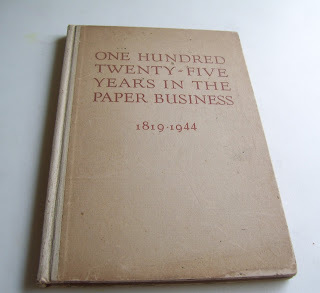 Dard Hunter's book about papermaking should be in every bibliophile's library. 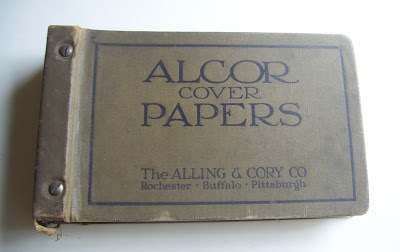 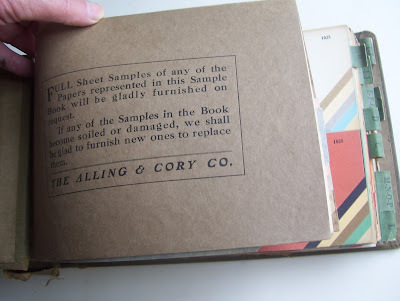 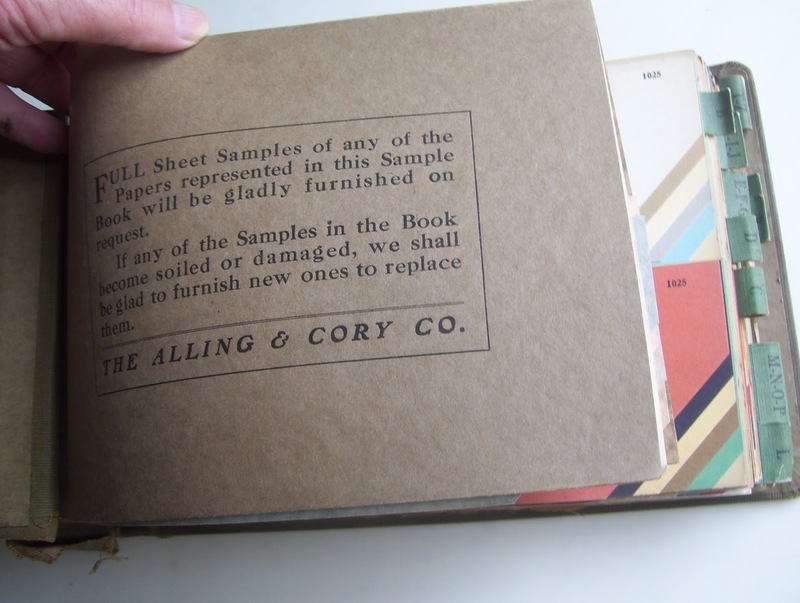 A History of America's first paper merchant, the Alling and Cory Company, together with an essay by Joseph T. Alling, "Paper, A Brief Account of How It Is Made." 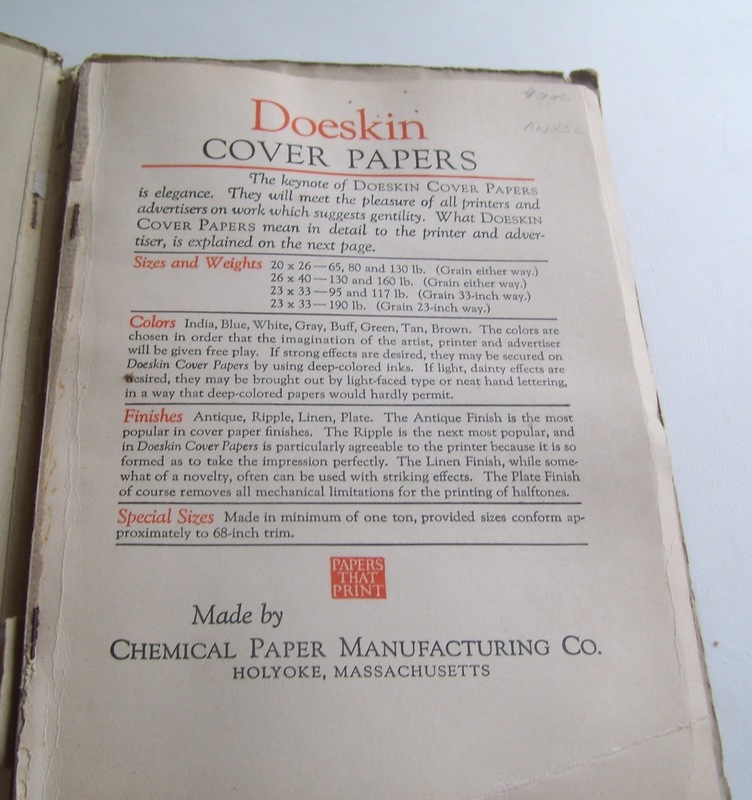 Cover papers were used as book covers for pamphlets. 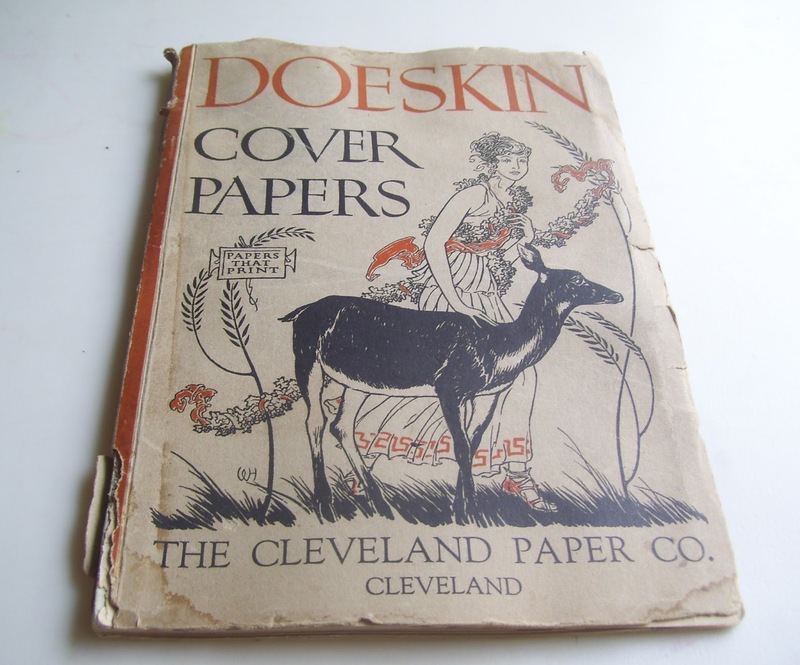 The Cleveland Paper Company advertised and sold the cover papers. 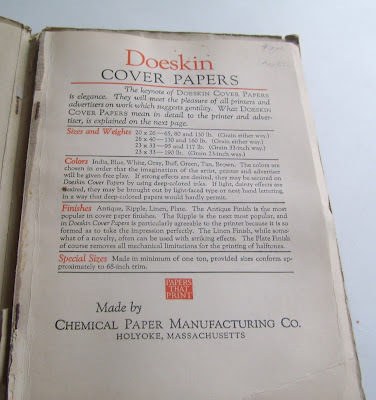 But the Chemical Paper Manufacturing Company made them. 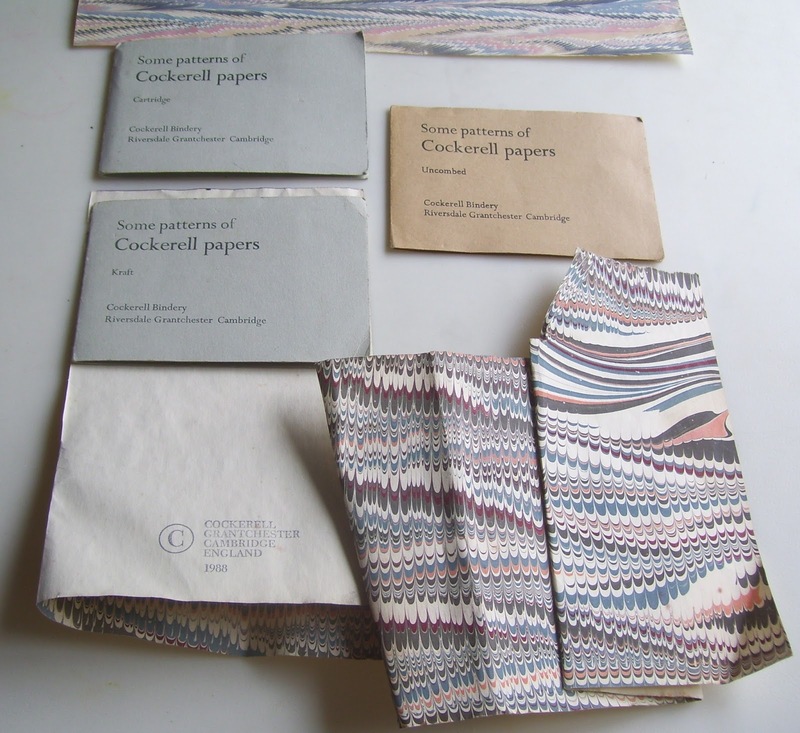 Here are some sample books of patterns I acquired while visiting the world-renowned Cockerell Bindery in Grantchester in 1988, along with remnants of marbled paper dated 1988, making the sheet one of the last sheets of marbled paper produced at the Cockerell Bindery. 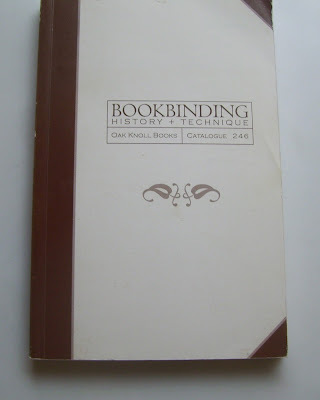 Sydney Morris Cockerell, known as "Sandy Cockerell," died in November 1987, and the contents of the Cockerell Bindery were sold in March 1989. 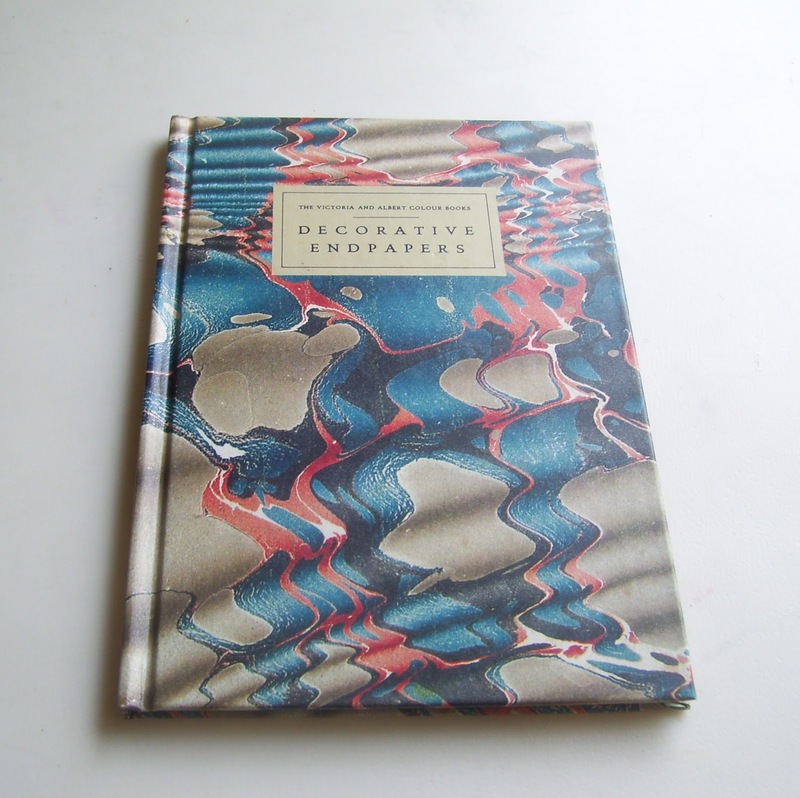 Sandy Cockerell's specialty was marbled endpapers. 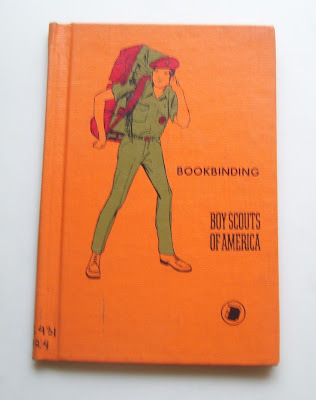 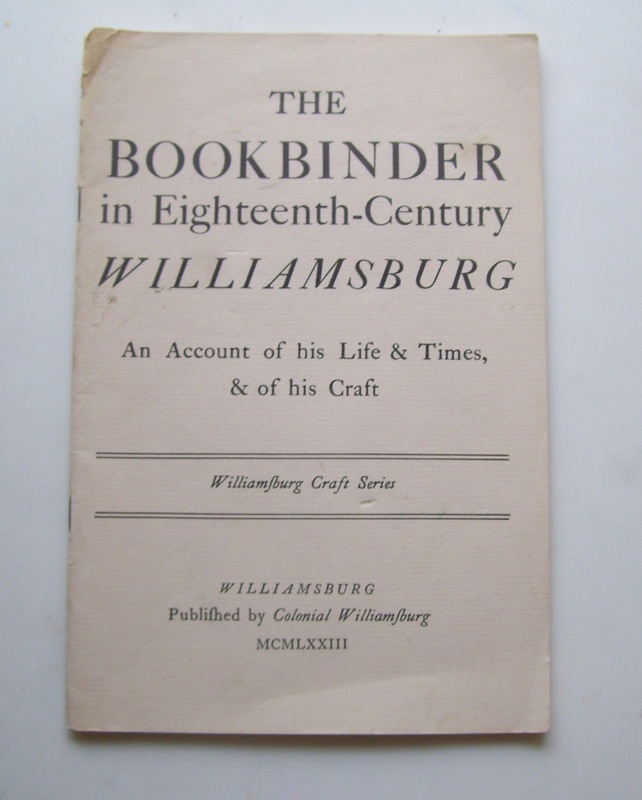 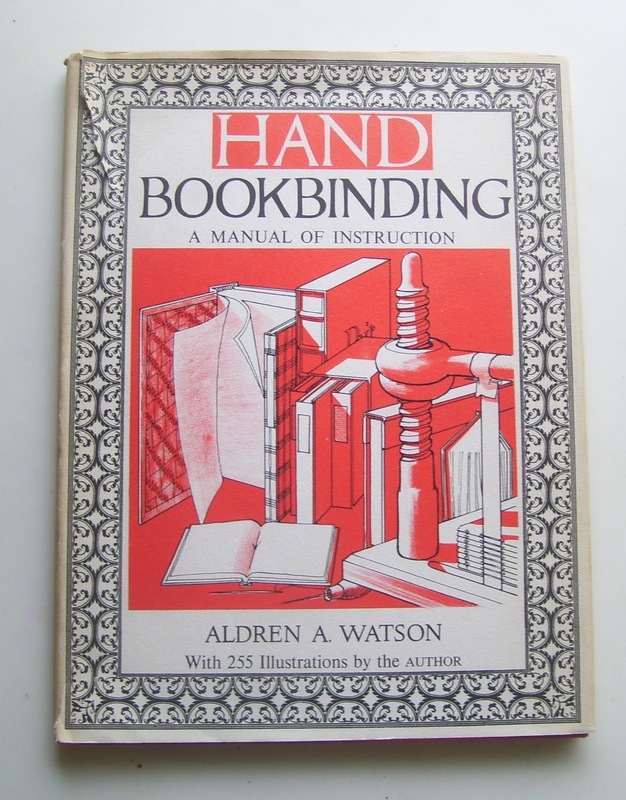 And his father's specialty was bookbinding. A Dictionary of Descriptive Terminology by Etherington & Roberts. Another book that should be in every bibliophile's library. 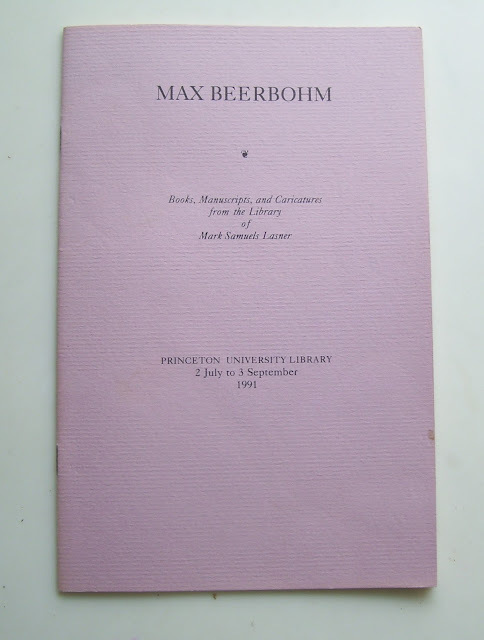 A lecture given by B. H. Breslauer at Columbia University on July 23, 1984. 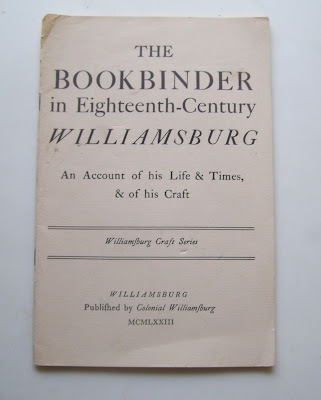 Notes of a Book-Lover, With an Account of the Grolier Club by Brander Matthews. 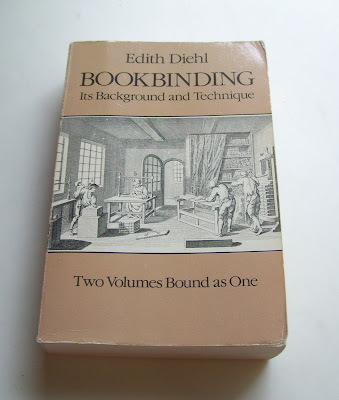 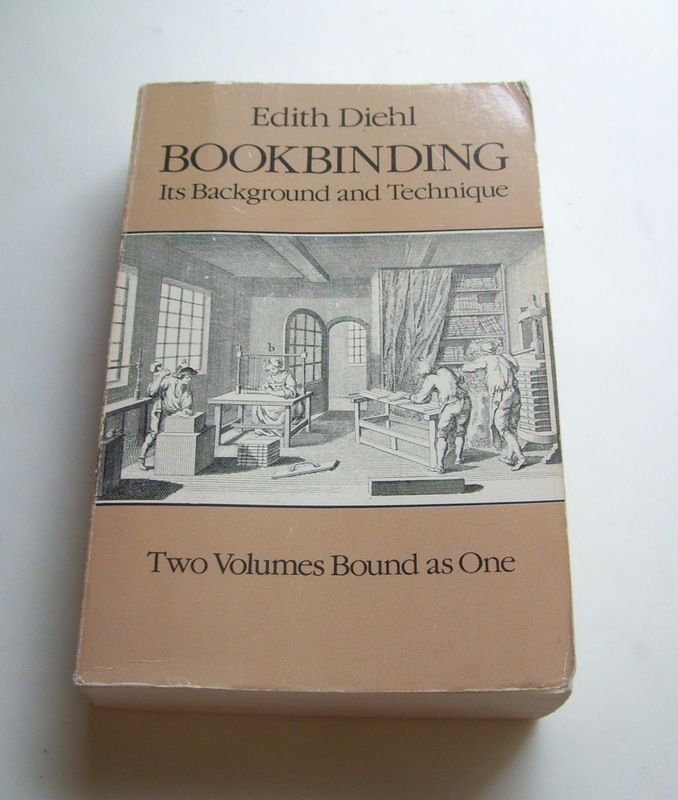 Edith Diehl was an early member of The Guild of Book Workers. 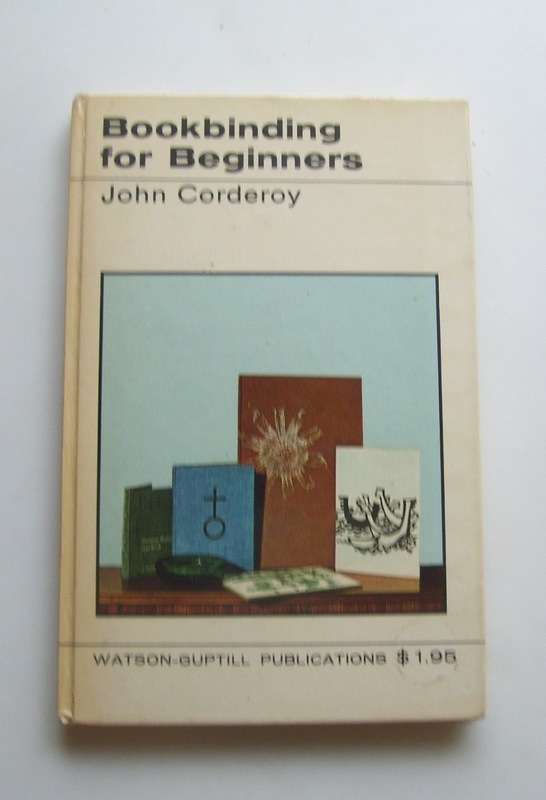 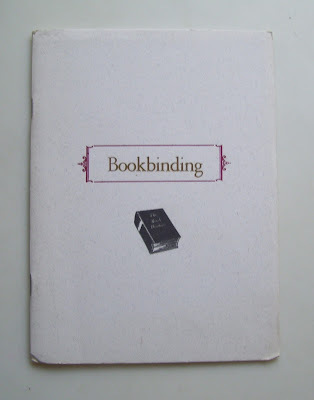 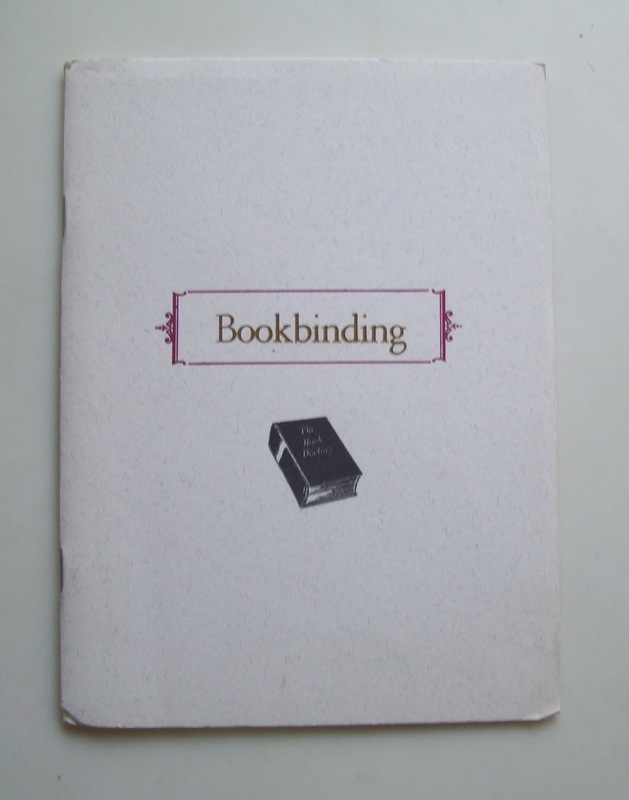 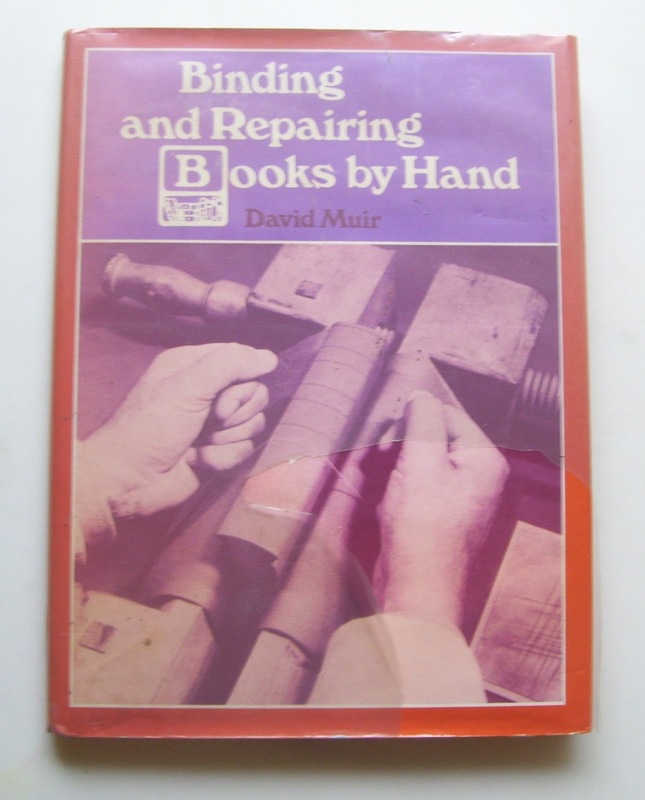 My very first book on bookbinding. And I still follow David Muir's techniques of bookbinding. 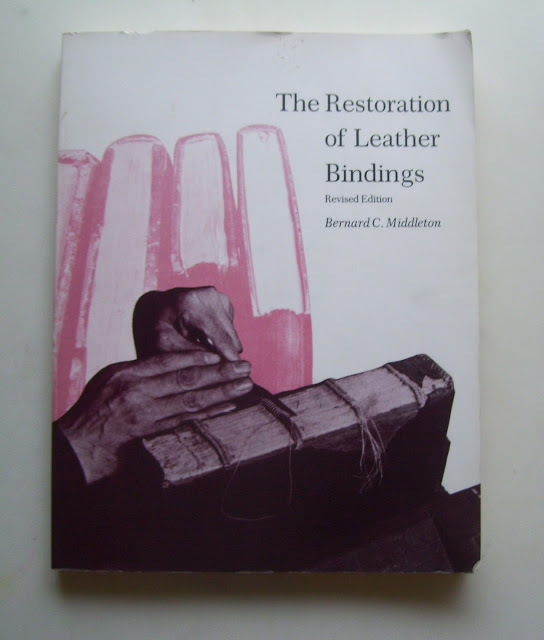 If a bookbinder ever says to you, "Give me some skin," RUN!!! 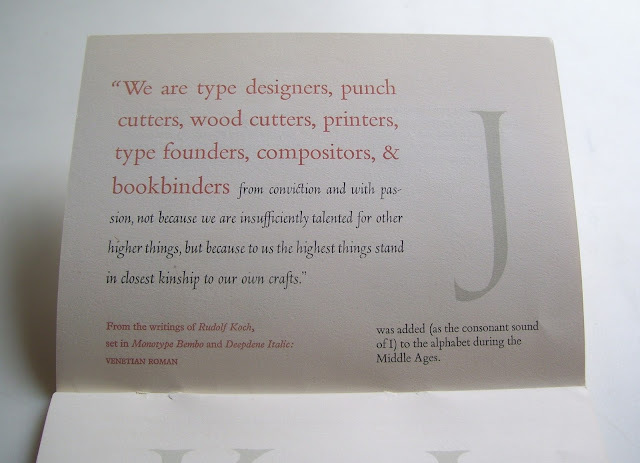 Just Run!!! 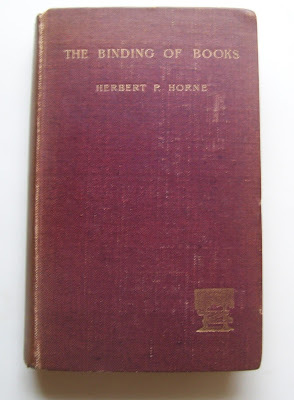 Mostly from the collections of Phiroze Randeria and Alfred Brazier. 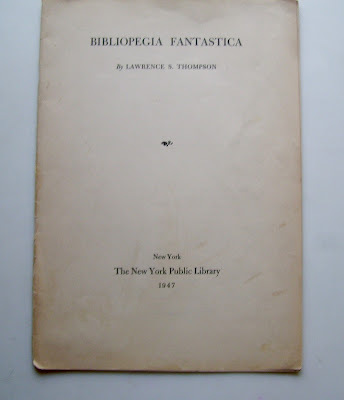 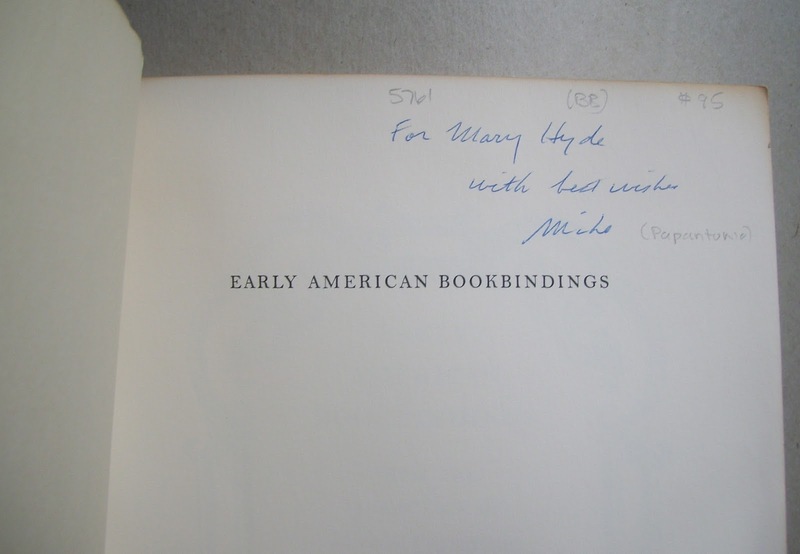 This copy belonged to the bookbinder Harold W. Tribolet. 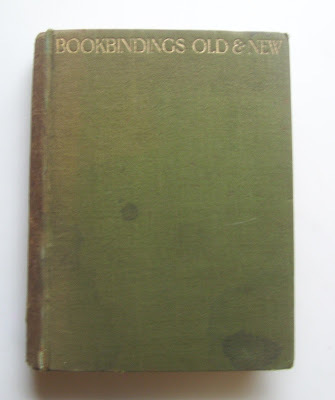 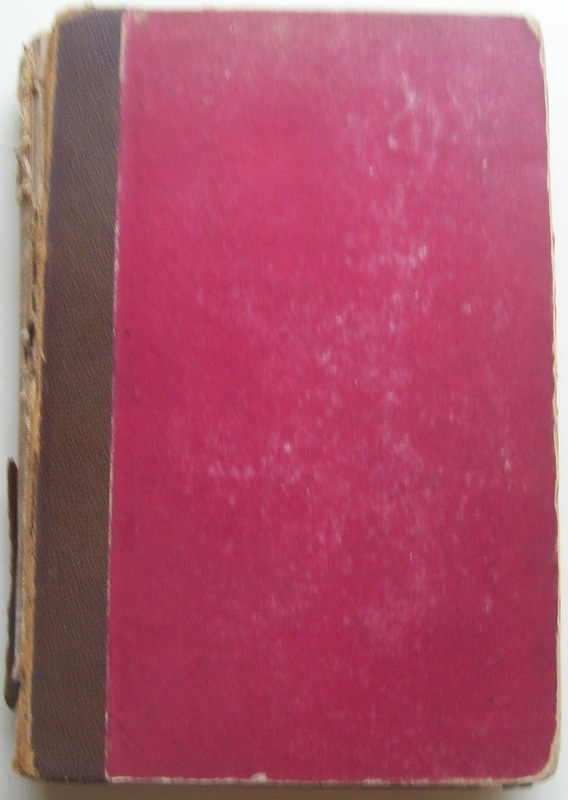 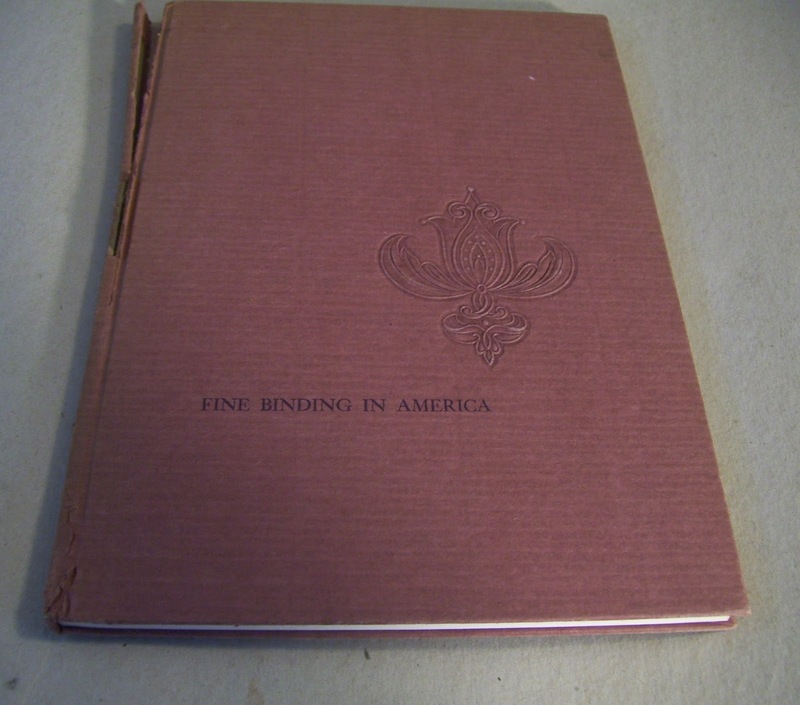 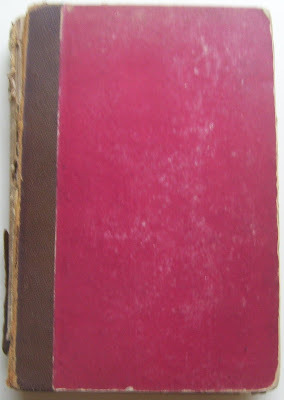 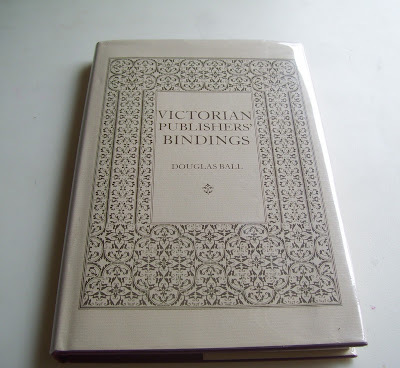 Harold Tribolet was the former owner of this bookbinding book as well. 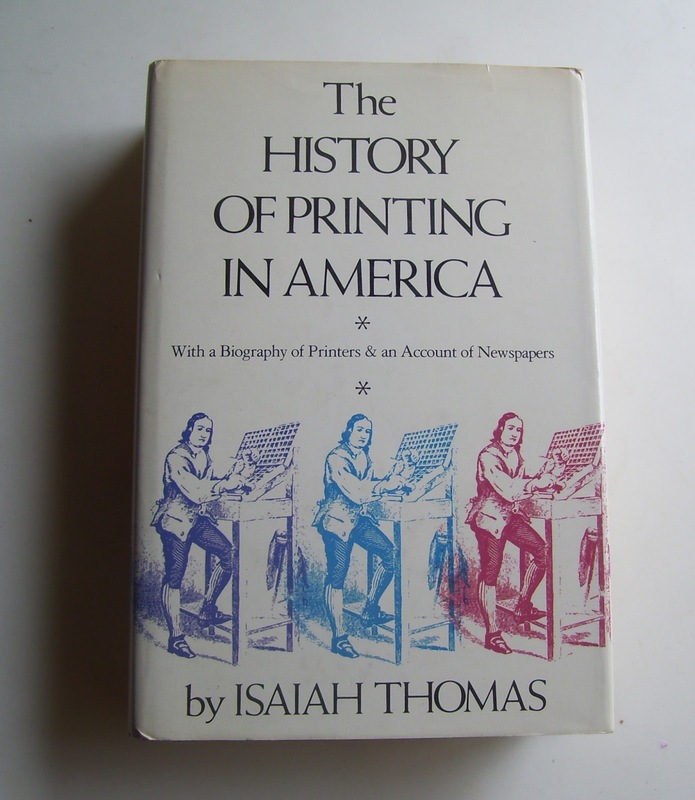 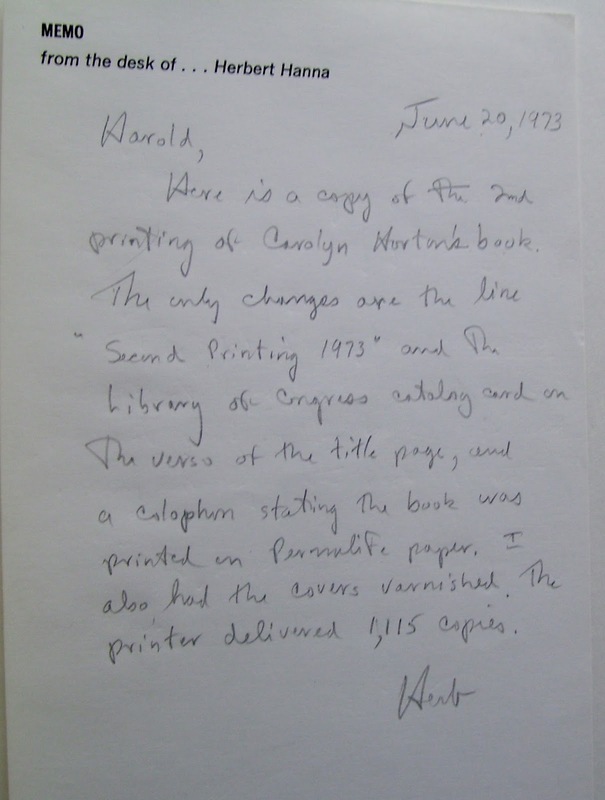 Herbert L. Hanna, Technical Editor of the ALA Library Technology Program, gave him this copy in 1973. This book also belonged to Harold Tribolet. I acquired it with the other two books from his library. 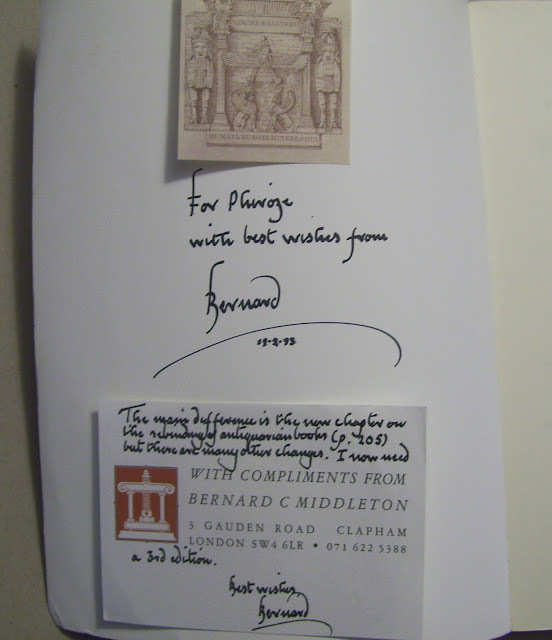 But E. A. Thompson's inscription does not mention Tribolet's name. 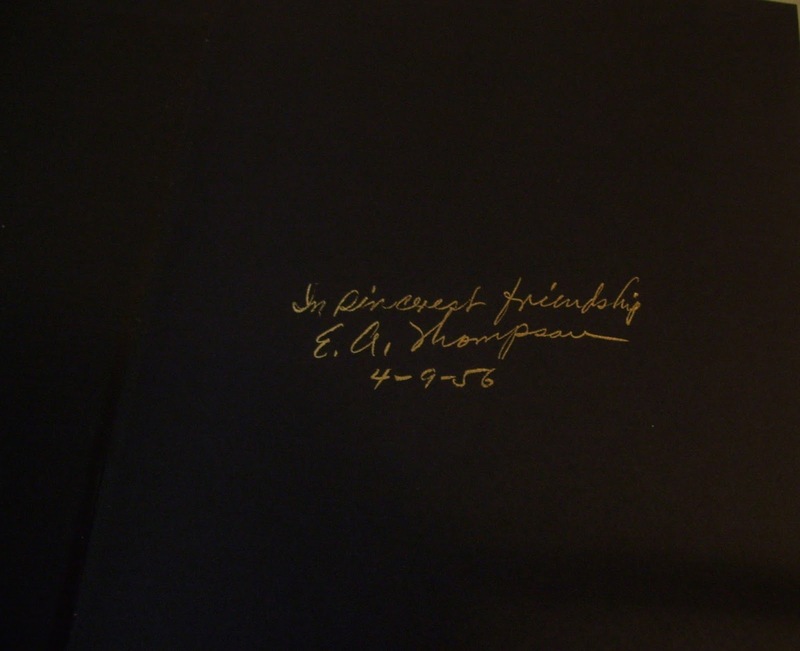 A Keepsake printed for the Friends of Mt. Tam Press by the Haunted C & P Press, which contains an article on Bookbinding by A. Hushmark that was printed in the Inland Printer in July 1911. 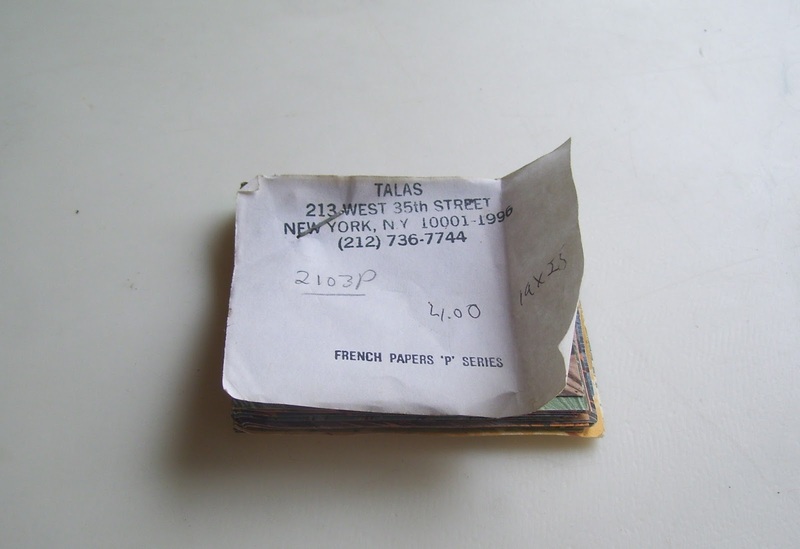 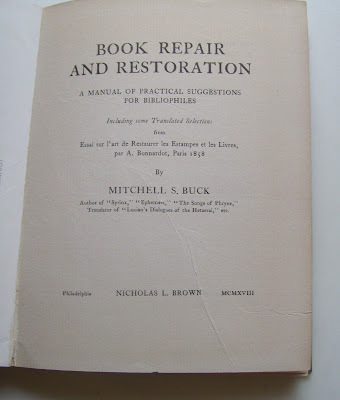 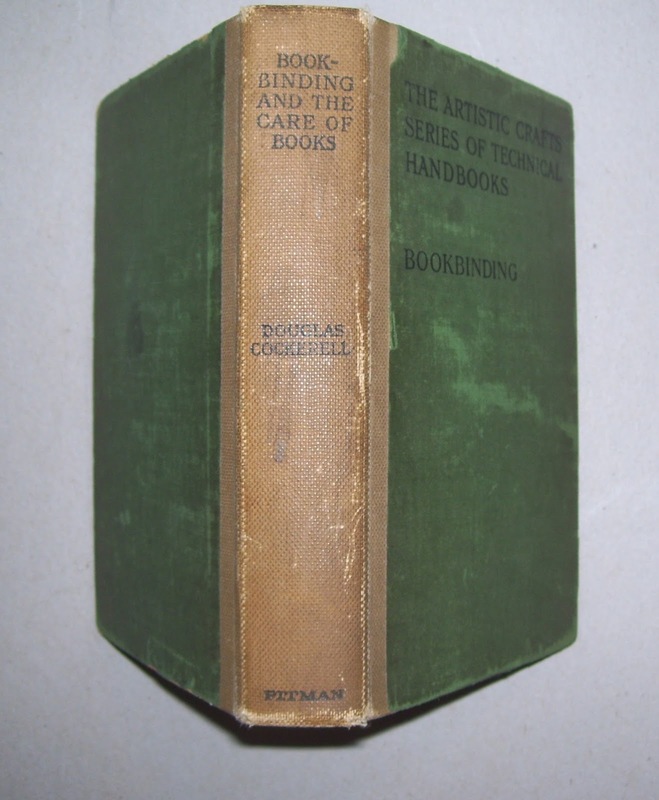 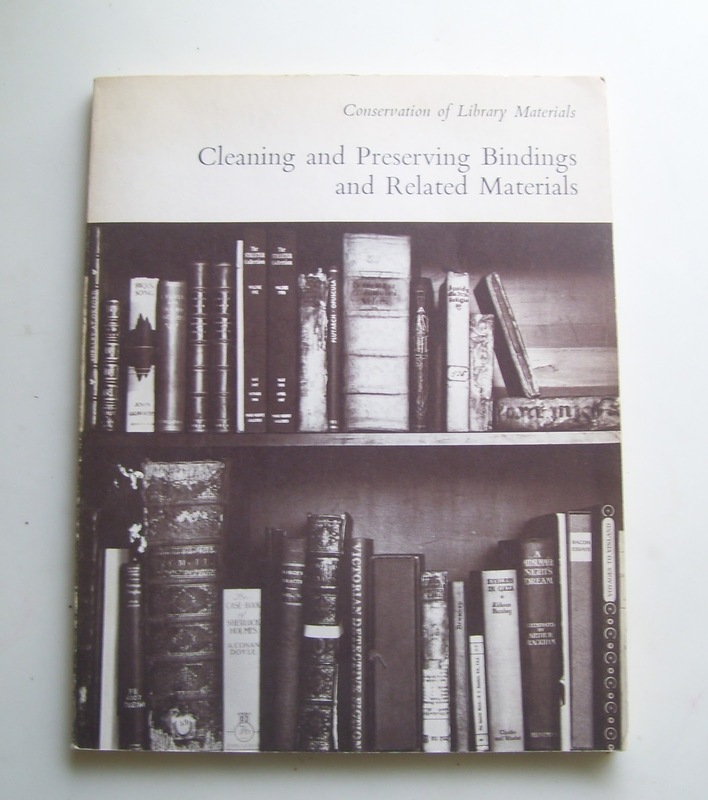 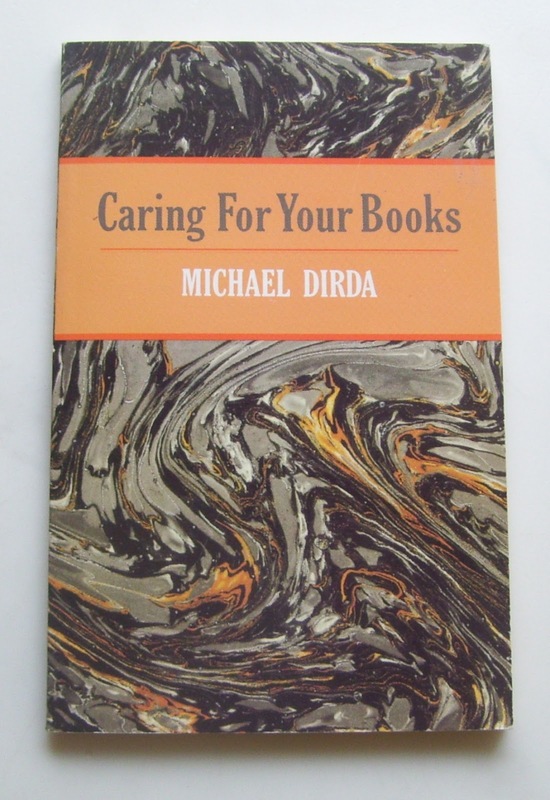 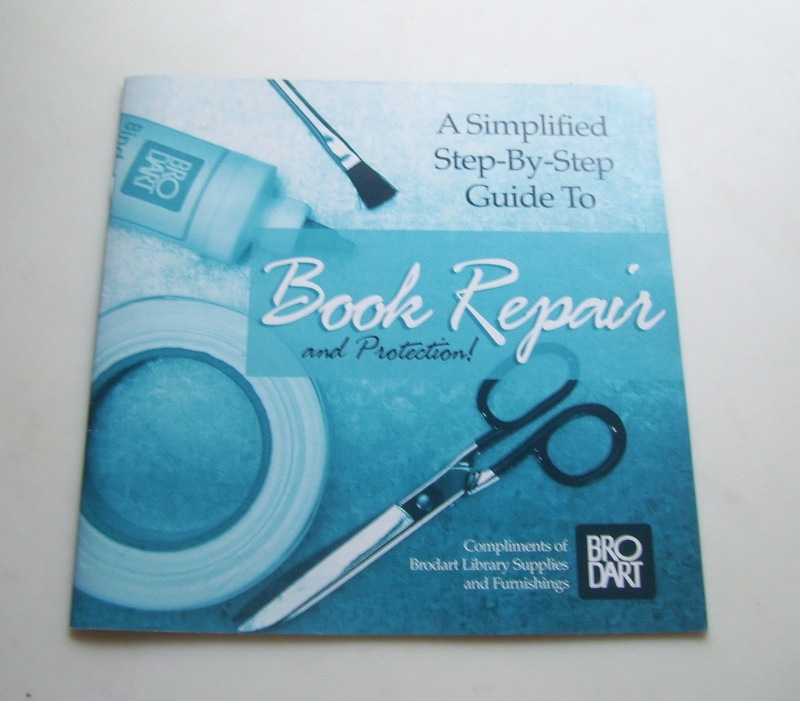 Advice to librarians on repairing inexpensive books.